Picture a burglary and you'll likely think of a smashed door lock, or broken window. But did you know that one third of burglaries are classed as simple "unlawful entry", with no forcible entry to the home whatsoever? Securing your home and double-checking every window and door is time-consuming. Sometimes you're in a rush to leave and you forget. Sometimes it's late and you're tired. Sometimes you remember an open window when you're halfway to work, but opt to put it to the back of your mind and hope for the best. Most likely you'll be fine, you figure. And… presto: you've given an opportunistic burglar a free pass into your house. If you're prone to forgetting, it's easy to create an Alarm.com reminder. Our Geo-Services feature gives you the option to get a smartphone alert if you leave home with a door or window open. 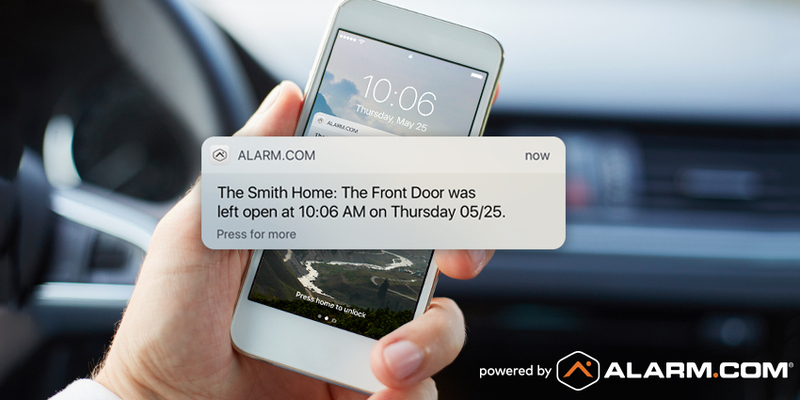 If it's a smart lock or smart garage door you left open, you don't even need to turn around: the alert will come with a ‘lock' or ‘close' button so you can secure your house with one tap. If you like being efficient, another option is to create a "Lock Up" or "Leave Home" scene for your Alarm.com app. Scenes are customized commands that trigger several devices at once. 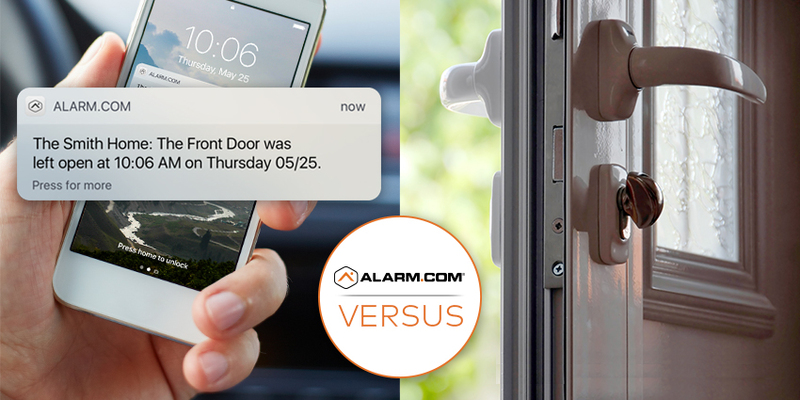 With smart home technology, tamper resistant features and proactive safeguards, Alarm.com's smart security technology is better than traditional security systems. To get connected with a service provider, just enter your ZIP code into the box below. For more ways smart home security fights crime, click here.